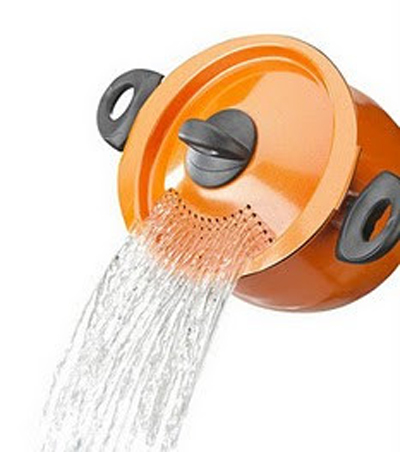 Use a colander to drain the water from the pasta,Potatoes and other products is not always convenient. And a little to shift the lid is not safe, you can not only throw the cooked lunch in the sink, but also seriously burn (agree that almost everyone had such a situation in life). Designers, solving this problem, came up with a lid for pans with holes. But for some reason this idea did not find any responseManufacturers, so make such covers very, very little. But you can upgrade the lid yourself, the main thing is that it should be made of stainless steel, otherwise the places of damage to the enamel will start to rust and have to be thrown out.